Dodge is a brand of automobiles belonging to FCA US, LLC (also known as Chrysler) that are well-known because of their reliability and high performance. Featuring some of the best sedans, SUVs and minivans currently available, Dodge is committed to making quality vehicles for modern drivers. 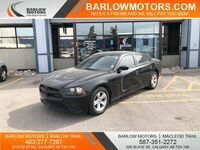 No matter what you’re looking for, Barlow Motors is the best place to search for used Dodge vehicles in Calgary, AB. 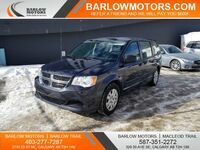 Both Barlow Motors locations (Barlow Trail and Macleod Trail) regularly feature a variety of Dodge models for vehicle shoppers to choose from. Although both locations’ inventories change frequently, drivers can keep up to date with Dodge model availability by checking both inventories right here on the Barlow Motors website. Barlow Motors has been a leading automotive resource in the Calgary community since its foundation in 2010. What Dodge Vehicles Are Currently Available? Dodge currently produces two SUVs, both of which have been praised for their versatility and generous set of interior features. The 2019 Dodge Journey is one of the most affordable options currently available in the SUV segment, yet still comes standard with three rows of seating and amenities like keyless ignition and entry, an infotainment system with a 4.3-inch touchscreen display, auxiliary audio input and a rearview camera. The 2019 Dodge Durango is available as well, and come standard with even more technology and entertainment features. Performance enthusiasts will love the 2019 Dodge Charger and the 2019 Dodge Challenger. The 2019 Charger is a sedan that provides drivers with several powerful V8 engine options, including a supercharged 6.2-liter V8 which produces a jaw-dropping 707 horsepower. The 2019 Challenger is a coupe that can output even more power. Also featuring a supercharged 6.2-liter V8 engine, the 2019 Dodge Challenger SRT Hellcat Redeye generates 797 horsepower. Dodge’s current model lineup includes: 2019 Charger, 2019 Challenger, 2019 Durango, 2019 Journey and 2019 Grand Caravan.